In general, voluntary donations to the Beacon should be tax deductible. The trick is in figuring out what the IRS would consider a voluntary donation. The laws are very complex and each individual’s case is different, so you should consult a tax professional for detailed advice. But here are some general guidelines that may help. 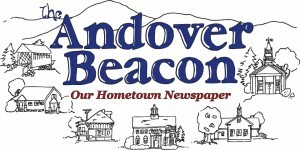 Community Publishing of Andover, Inc., which has published The Andover Beacon since October of 2004, has been a New Hampshire non-profit corporation since it was established in December, 2003. Effective May, 2011 the Internal Revenue Service granted Community Publishing of Andover the status of non-profit public charity, making contributions to the Beacon tax deductible to the extent allowed by law. Not all money received by the Beacon is considered a deductible contribution by the IRS. In general, any strictly-voluntary donation you make to the Beacon should be tax deductible. Conversely, any payment for a service — an advertisement, a gift subscription, an out-of-town subscription, etc. — is not tax deductible as a charitable donation. In trying to figure out what’s a voluntary donation and what’s not, it’s important to note that if you receive your mail at an Andover postal address, you receive the Beacon whether you make a donation or not. Therefore, your donation to the Beacon is strictly voluntary — you’ll receive the Beacon at your Andover address whether you donate or not — and should be tax deductible. This general rule holds true even when you write one check for what the IRS would consider two different transactions. For example, let’s say you receive your mail at an Andover address, and you send us $50 and ask us to mail the Beacon to your brother in Boston for a year. From the IRS’ point of view, $30 of that transaction is not deductible because it covers a service you wouldn’t have received if you hadn’t paid for it — the gift subscription for your brother. The $20 “extra” is, however, tax deductible even though you receive the Beacon every month at your Andover address. You would receive the Beacon every month at your Andover address whether or not you sent us any money, so that extra $20 is a strictly voluntary donation for which you receive nothing you wouldn’t have received anyway; therefore, the IRS views the $20 as tax deductible. Distinguishing between money that is donated voluntarily and money that buys a product or service is one of the keys to deductibility. (The IRS refers to buying a product or service as a quid pro quo transaction.) For more details or guidance on your specific situation, please consult a tax professional.